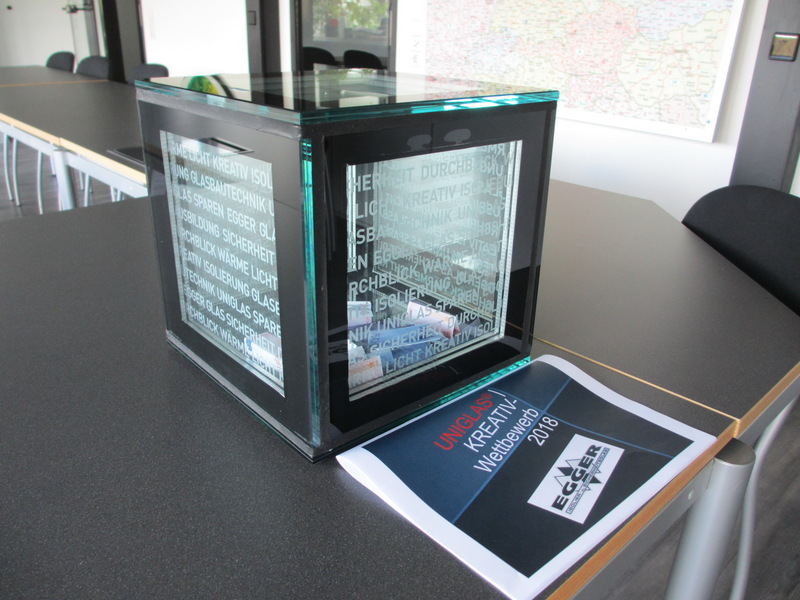 Under the theme “Functions of Glass”, three trainees at Egger Glas Isolier- und Sicherheitsglaserzeugung GmbH in Pischelsdorf developed a piggy bank made of 3-paned insulation glass in the form of a cube. Glass applications throughout your house. Let the possible uses presented inspire you during a tour. We will show you a wide variety of applications for glass throughout your house, explain the functions to you and provide you with tips for use. 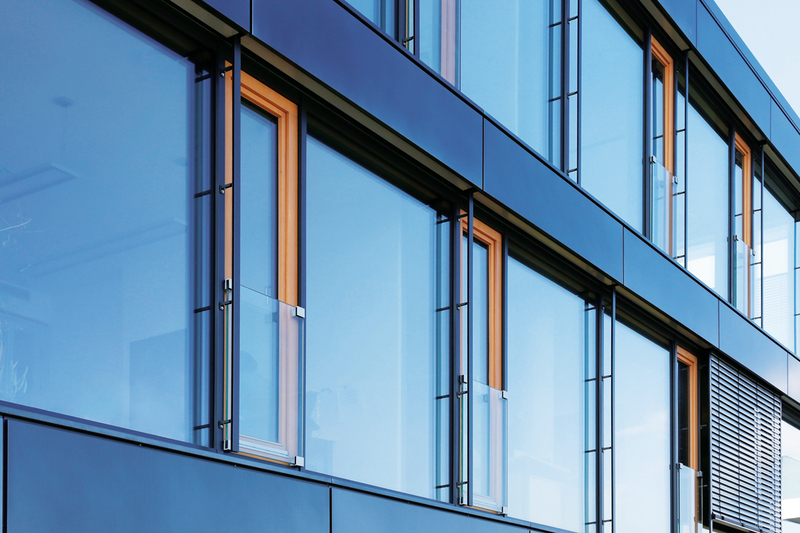 By using UNIGLAS® | FACADE timber-glass-composites, trend conscious builders no longer have to make any compromises when it comes to installing their large window façades. 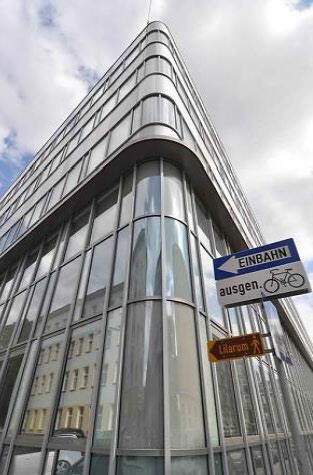 The Deutsche Institut für Bautechnik (DIBt (German Institute for Building Construction)) issued Flintermann Glasveredelung GmbH & Co. KG the General Building Permit (AbZ) for curved glass. The UNIGLAS shareholders from Bregenz was once again honoured at the Iconic Awards and at the German Design Awards: This time, the GM WINDOORAIL® Frameless glass railing module was declared the winner in the product category. The result is a “floating” eight-storied building, the S-shaped façade of which perfectly follows the course of the street. 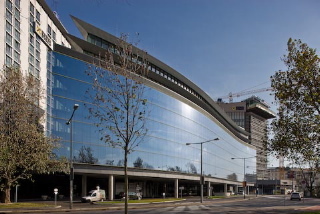 The new building is completely elevated on a six-metre-high platform structure above the upper edge of the terrain (TOK). 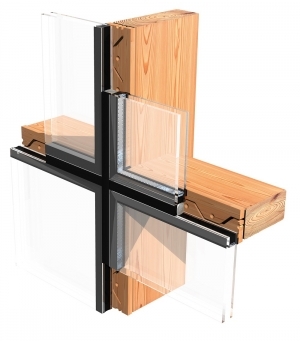 The individual, pre-fabricated timber-glass composites (HGV) consist of a pane of insulation glass and a patented coupling strip made of 12mm-thick birch veneer wood, joined using a special adhesive. 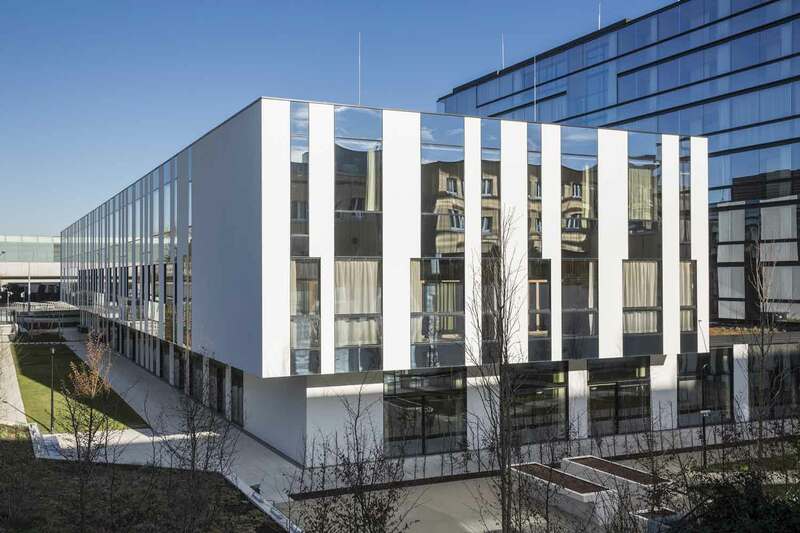 The new, seven-storied residential building offers single-bed and two-bed rooms for 328 residents distributed across several medical wards with a variety of specialties. 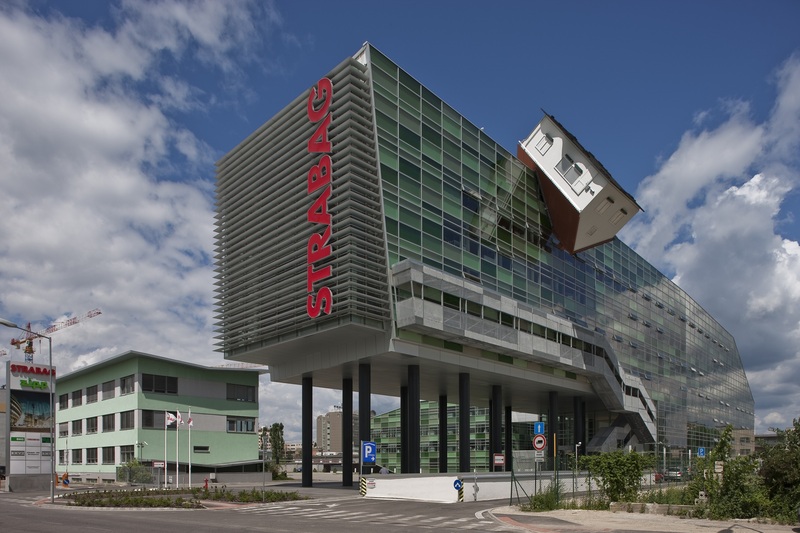 East of the city centre, the existing STRABAG branch offices share the new central corporate office building with ZIPP GmbH, a construction company that develops and produces pre-fabricated concrete components and builds them ready to use. 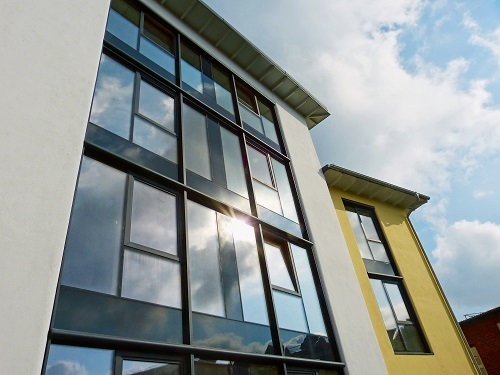 Glass, galvanised steel and wood are the few materials to which construction is confined. The distinguishing feature of the cricket pavilion in Street is the huge simplicity of the architecture, which holds back in order not to dominate the surrounding landscape. Glass façades open up the room and create an atmosphere conducive to comfort. 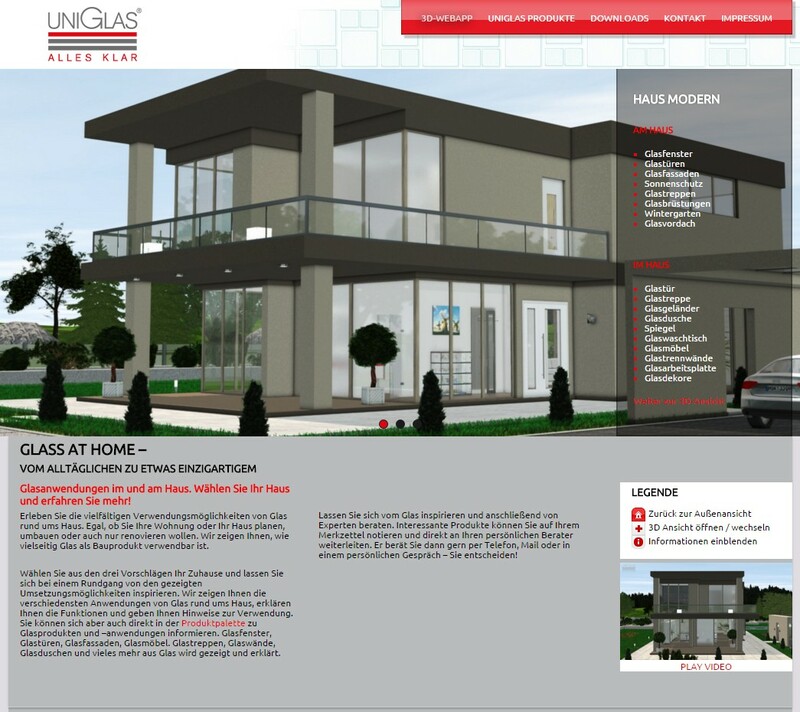 UNIGLAS®|FACADE is also environmentally friendly and versatile for planning and installation. However, these benefits will not in any way compromise the crucial factors of energy efficiency and cost efficiency. Wood with its natural properties offers many advantages. However, the efficiency of this composite material is not confined to good insulation values.